Dr. Gamble is the Director of Health Policy & Legislative Affairs at the Black Women’s Health Imperative. 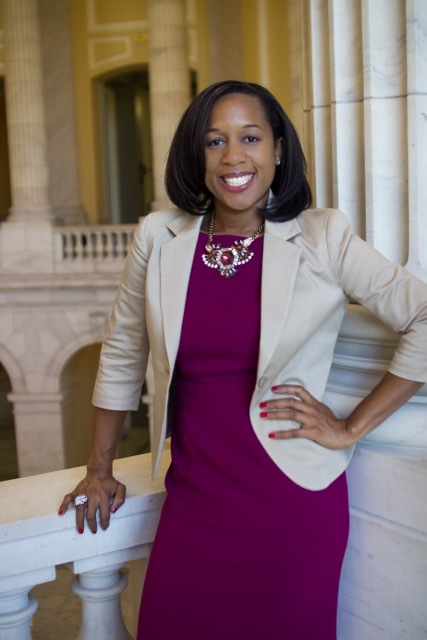 She uses her unique expertise in law, policy, and public health to advocate for policies that reduce racial health disparities and improve the overall health of marginalized communities. In her current role, she spends much of her time traveling the country to convince state policymakers to fully cover 3-D mammography, which can remove a barrier to access while reducing breast cancer disparities. Previously, she served as the Democratic Health Counsel for the Oversight and Government Reform Committee where she was instrumental in initiating the congressional investigation into skyrocketing prescription drug prices. She recently received the prestigious honor of being named one of Google’s NextGen Policy Leaders. She was also named to the ARCHE Expert Network, which highlights experts who advance health equity policies. Christy earned a Bachelor of Science in Microbiology from North Carolina State University, an MPH in Epidemiology and Biostatistics from Eastern Virginia Medical School, a DrPH in Epidemiology from the University of Pittsburgh, and a JD from Duquesne University School of Law. She became licensed to practice law in Pennsylvania and New Jersey in 2013.